WORKSHOPS: We’re excited to offer our guests two special workshops this week. The first is an Introduction to Meditation, and the second is Grounding and Balancing the Chakras Through Meditation and Essential Oils. Please see below for more details. ASHLEIGH BRINGS YOU A PRACTICE THAT IS A SPECTACULAR EXPERIENCE OF YOGA, MEDITATION AND PLAY. Ashleigh has experienced a lot of healing and transformation to become ready to work with others and share this practice. She considers herself a forever a student. Once she began to teach from a place of love and service she found gratitude and discovered a joy and connection to the practice in an even deeper way. When she is with her students, her main focus is NOW. By being with each other and listening by looking and experiencing what is wanted and needed, she tunes into each moment to share intuitively and presently with the class. 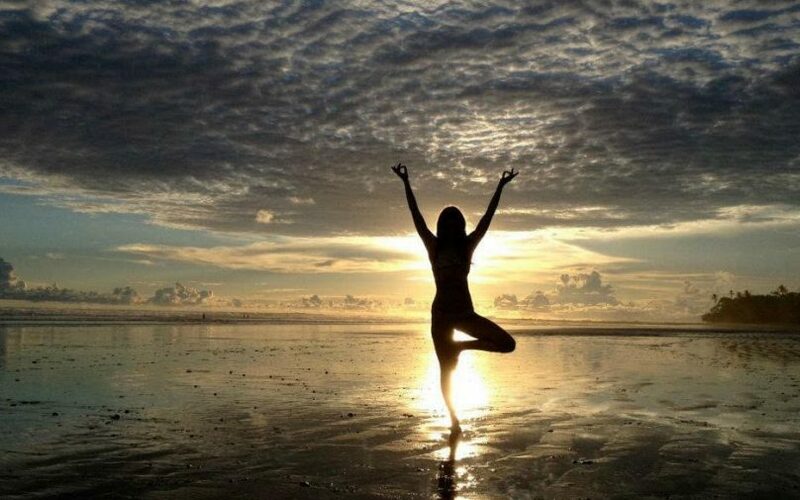 As someone who struggled with being disconnected to her body through her teens and young adult life she was constantly seeking outside of herself grasping to find relief from the frustration of never feeling at peace or at ease in her body. A lot of the fun she was having was short lived and not long lasting. No matter how much she had or what goals were accomplished that connection she sought didn’t appear. She began a process of recovery out of complete emotional exhaustion after graduating art school and working in the Visual Effects Industry for a couple of years. The rate at which she was living (fast) and the relationship she had to her body (reckless) had taken its toll on her. She sought a spiritual connection and a solution to heal. She started to meditate and she had many gracious teachers who practiced with her one on one, holding space for her until she was able to hold that space for herself. Ashleigh’s philosophy is to share her experience passionately and authentically. There is a saying you cannot give away what you do not have. Her love of yoga starts with self love, growth and integrity within herself. Ashleigh aims to share lightness, there to serve as a gentle reminder of what people carry inside of them. There is an ease and awareness we all have accessible to us and it often doesn’t look like we thought it had to. 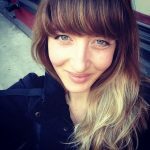 Ashleigh’s aim is to help guide others to connect and find freedom and relief from stress, anxiety, stiffness and pain. She creates a relaxed and flowing environment which helps to create space and get grounded through a moving meditation. 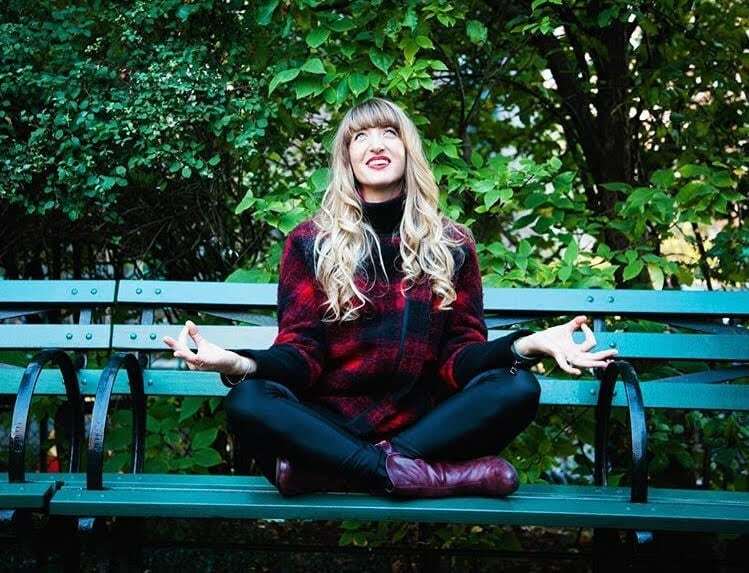 She has been practicing meditation for 8 years with teachers such as Michael Taft & Jessica Graham, and joyfully weaves this into her classes, aiming to guide people to connect to themselves and transform. Ashleigh will guide you into classes that create a flow state designed to tap you into your creative intuition. This leaves you energized, elevated and at ease. It is a way of being and a way of moving that connects you to how you feel, move how you feel, and handle challenges with ease. Ashleigh shares and embodies the philosophy of Strala, hard things are easy when approached with ease. She guides students to provoke their relaxation response by moving gently and exploring right where they are. Strala is a way of being, moving and healing created by Tara Stiles, drawing on her background in classical ballet and choreography. The science and movement of Strala is created by Mike Taylor, who studied Mind Body medicine at Harvard and complementary medicine at Oxford. Strala is influenced by Mike’s experience with eastern movement such as Tai Chi and qi gong. Through Ashleigh’s training with Tara & Mike, her background in meditation, longtime personal yoga practice and work with transformation, the structure she brings is strength, balance, clarity and awareness. She guides a movement system that ignites freedom and gives a radiant experience. Each class is about the individual and she encourages people to challenge themselves but never to push, which results in doing more with less effort. There is encouragement of exploration, curiosity and a fun expansive feeling. It is about natural movement from the inside out. Every inhale lifts, opens, expands, and creates space. Every exhale moves you further along, softens, settles, and leads you into that new space. That feeling of lifting and softening, moving further along, going somewhere is exciting and energizing. Ashleigh will often mirror the class and demo where it applies, always encouraging a breath body connection. Guiding with the breath allows the experience of feeling supported and lifted. Her use of touch is a support to the students in the class and her main priority is connecting to the people in the space and guiding the process. 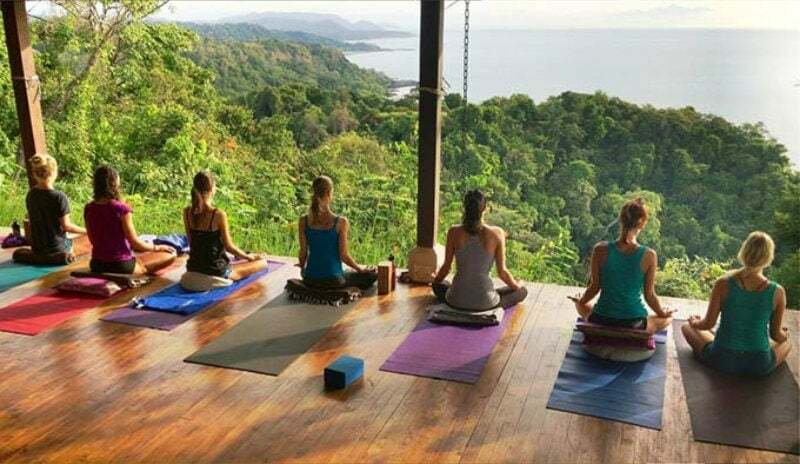 In this workshop Ashleigh will share with you an introduction to meditation focusing on body sensation and working with our environment to release tension and anxiety. She will share tools with you that can be taken from paradise back into your daily lives. There will be 30 minutes of introduction, 30 minutes of guided meditation and time for sharing and discussion. In this workshop Ashleigh will discuss the Chakras and how to balance and ground using essential oils and guided meditation. She will take us on a journey through each Chakra, as we apply essential oils to where this relates to each point on our body, she will ease us into a relaxing and grounding meditation. As the oils invigorate the senses and the meditation grounds you, the effect is state of bliss and harmony. ***Workshops are 1.5 hours each and open to all levels. $30 for one or $50 for both.